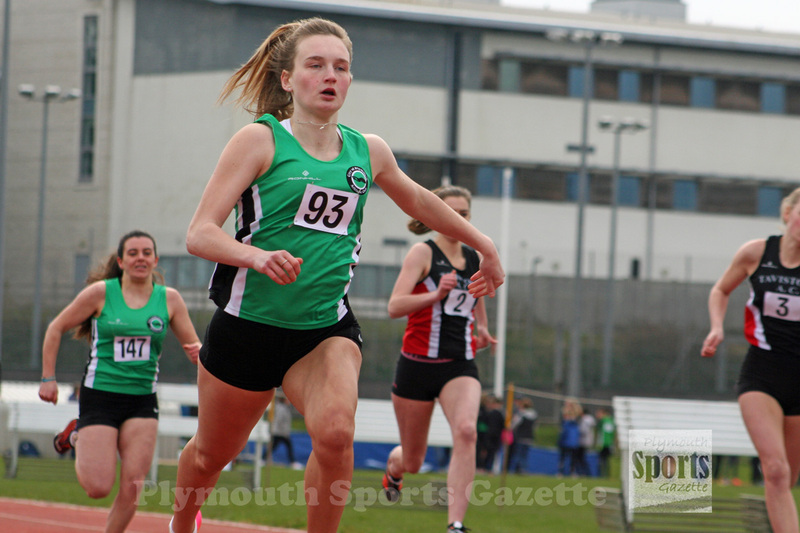 CITY of Plymouth multi-eventers Sammie Harris and Emily Bee both made encouraging outdoor debuts at under-20 level at the weekend. Harris headed to the Lee Valley Open in London to test herself against a class field over the 100m hurdles. The step up from under-17 to under-20 sees hurdlers have to run an extra 20m and adjust to a new height. But Harris had no problem making the jump up by running an impressive time of 13.91 seconds on her competitive debut. It was also her first outdoor event since breaking her arm in the English Schools’ hurdles final in July. She also missed a lot of winter training after dislocating her shoulder. Harris finished just behind Southampton’s Lucy-Jane Matthews and English Schools’ champion Marcia Sey, but unfortunately for the three of them the wind was just over the legal limit at Lee Valley, otherwise they would have been filling the top spots in this year’s UK rankings. Harris will certainly take encouragement from the run as that time would have been good enough for a top five UK ranking finish last year and, if done in a legal wind, would also put her in the reckoning for international selection. Meanwhile, last year’s SIAB International hurdles champion Bee made her outdoor debut at the Newquay & Par Spring Warm-up Meet on Saturday. Despite some windy conditions, Bee won the high jump with a 1.60m leap and also took victory in the shot, throwing 10.15m on her competitive debut at the 4k weight. Bee was not the only City of Plymouth athlete to impress at Par. 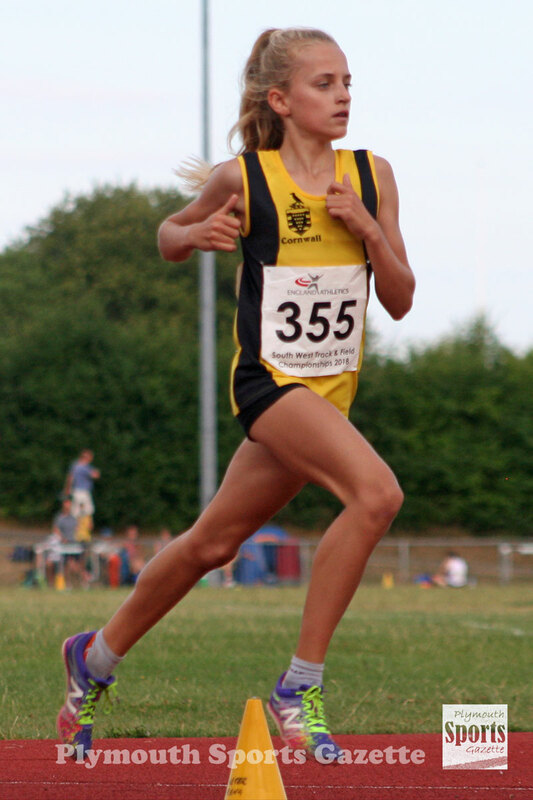 Youngster Poppy Northcott continued her impressive form by storming to the top of the UK under-13 rankings for the 1,200m. She clocked 3:47.00 to not only break the club record but also make the UK’s all-time top 20 for that event. Her sister, Rosie, won the under-13 long jump at Par with a best leap of 4.30m. City of Plymouth’s throwers were also in good form in Cornwall. Nubia Evans-Shields went straight to the top of the UK under-13 discus rankings with a personal best throw of 32.68m. She also threw 8.01m in the shot, which ranks her 13th, and managed 21.55m in the hammer. Club colleague Ben Foster threw an impressive 13.89m to win the under-17 shot and move up to fifth in the UK rankings. He also threw 33.38m in the discus, which currently ranks him 14th. Tavistock’s Hannah Gellatly caught the eye in the under-17 girls’ hammer with a big personal best throw of 41.71m. She also recorded 8.16m for the shot and 21.65m for the discuss, while Harry Tomlin threw 41.26m in the under-17 javelin. 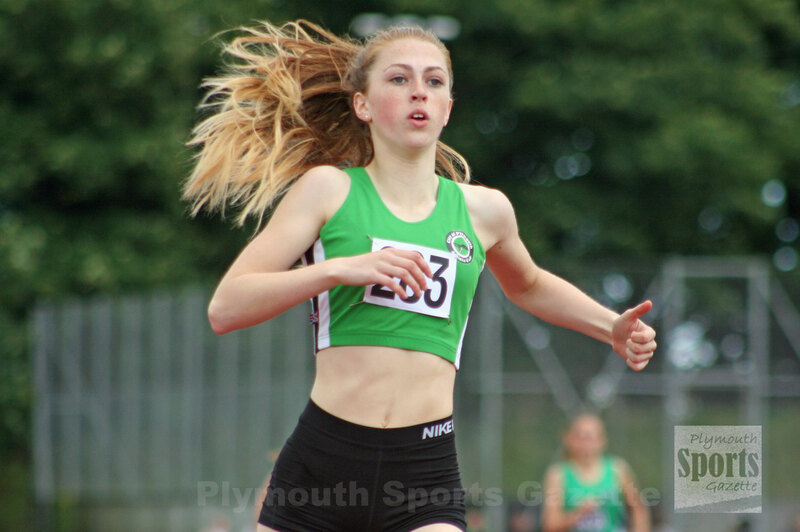 Fellow Tavistock athlete Tilly McDowell was first under-17 in the women’s 1,500m steeplechase with a time of 5:50.0, while City of Plymouth’s Noah Jones won the junior pole vault with 2.90m.